Clients choose Bisca for many reasons; the main being the difference really is in the detail. We allow our designers complete freedom to treat each project individually, not restricting designs around a range of existing stock or common parts. Previous clients have commented on our astonishing attention to detail and strenuous project process which sees their commission being built 3 times – at least once in virtual 3D, again in our workshop prior to despatch and finally at installation. Your finished commission will be flawless, literally, and will withstand the closest inspection. Our own craftsmen will carry out your installation and because they are totally in tune with your project this final stage will be smooth and without fuss. Our focus remains on your project from beginning to end and we never leave installation to others. Bisca are widely acknowledged as leading the bespoke staircase design and manufacture market. We have achieved this by refusing to accept second best in respect of materials, people, or processes. Give us a call to see how we can make a difference to your property – or call into our design studio and workshop to witness the Bisca Difference yourself. We supply bespoke and kit staircases for domestic new builds and refurbishments. 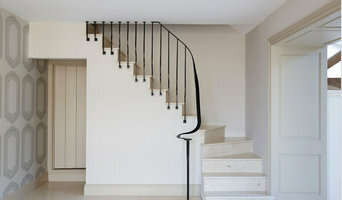 With an emphasis on light and open designs, our staircases are designed to be a feature within a dwelling. Glass, solid hard wood and steel are commonly used to create our spiral staircases and bespoke straight, quarter turn and half turn staircases. Hambledon Staircases is a family business based in the heart of Dorset. 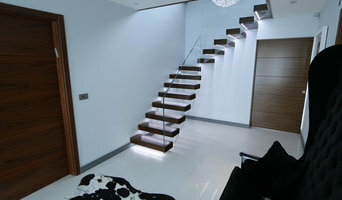 We specialise in the complete design, manufacture and installation of specialist metal staircases and balustrade. Designers and manufacturers of bespoke architectural and sculptural metalwork, specialising in Flowing Staircase Balustrades. The business is built on over 20 years of craftsmanship experience in blacksmithing, fabrication and specialist finishes and combines this with the scale to turn round larger commissions in a reasonable time frame. From initial design concept to final installation you will be in direct contact with the owner and director to ensure that you receive the highest level of service and the full benefits of this experience. Every staircase we create is totally bespoke, which means that it’s designed to fit perfectly into your home and suit the lifestyle that you lead, as well as your budget. Whether it’s a modern, minimal look or a more traditional classic style, simply tell us what you want and we’ll create it. We design and install renovations in all types of properties, including residential, new builds and commercial sites. The majority of projects are completed in just 24 hours. StairBox is a timber staircase manufacturer with a pedigree that spans almost 100 years working with both the public and in industry working on projects both big and small. Regardless of what it is that you are looking for in the world of timber staircases, we have got you covered. We pride ourselves on the fact that we are able to provide not only a fantastic product, but also a brilliant service no matter whether you order via our industry leading StairBuilder and GlassBuilder, or whether you talk to us and get some knowledgeable advice via email via sales@stairbox.com and over the phone on 01782 832555. We at StairBox understand that purchasing a staircase can be a daunting task without the right tools, that's why we have spent a lot of time creating and perfecting our StairBuilder and website, StairBox.com. Using these, our customers are given powerful tools that were previously only available to professional designers. Customers can not only design their perfect staircase but also see the staircase in full 3D, no matter whether on Desktop, Tablet or Mobile. If you would like a quote, check out StairBox.com. Or, if you'd rather, email us on sales@stairbox.com or call us on 01782 832555 and our in house, experienced advisors will be more than happy to assist. We are one of the UK’s leading suppliers in a wide range of high performance products. Our purpose-built premises, design and manufacturing capabilities enable us to handle large orders as well as one-off products and more unusual bespoke items. David Smith supply and manufacture engineered timber products and associated fittings through four products divisions: From large commercial and public sector projects, through to residential developments and self-build homes - whoever you are, whatever the size of your projects, we will work interactively with you to deliver purpose-made timber products that meet your specific project’s requirements. 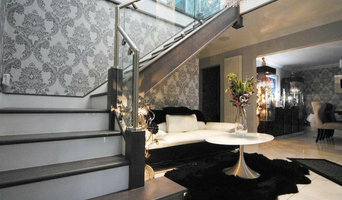 LuxuryStairs - Exquisite Bespoke Stairs Hello and welcome to LuxuryStairs. We are a leading designer and manufacturer of handcrafted, custom-made luxury staircases. Working with the finest woods, metals and glass, we masterfully design, craft and fit staircases that evoke a real sense of class, luxury and refinement. We take immense pride in our product and our service, with every project - small and large - afforded the highest level of attention, care and craftsmanship. Constructed to rigorous, precise standards, all our staircases are bespoke. You won`t find another house with a staircase the same as yours. 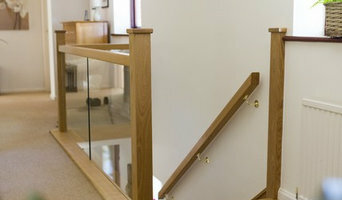 It is all in the detail We design, manufacture, and assemble staircases to the highest standards. Our product range includes standard stairs, for straight or curved applications, luxury stairs for high-end applications, as well as handrails, spindles, wrought iron and newel posts. When we craft a staircase for you, we do everything in-house. Our service is personal and professional. We can design your staircase for you using 3D CAD software, or we can craft a staircase using architect drawings or your own. We have our own dedicated state-of-the-art workshop, where our team of artisans craft the individual components for our staircases. We can manufacture hardwood stairs, winder stairs, oak stairs, stairs with glass, helical stairs, cantilevered stairs, turned stairs, floating stairs, zig zag stairs, spiral stairs and individual handrails, spindles and posts. We have made some truly beautiful staircases over a 36-year period, with a proud heritage that dates all the way back to 1982. Design trends might have changed over the years, but our everlasting strive for quality has remained the same. Testament to this is our 5-year staircase product warranty, which covers our staircases for faulty timber, construction and installation. We are also committed to sourcing only the best materials. Request A Free Quote From steel stairs with bespoke metalwork to spiral stairs with intricate, delicate carpentry, we can manufacture stairs and related products to any specification. To find out more about our products and services, please send us an email at stairs@luxurystairs.co.uk, or contact us here to send us a message or call us. Thank you. and installation of natural stone staircases, fireplaces and commissioned pieces. We are a young company taking a fresh approach to the age-old craft of stonemasonry; we use modern engineering to help us create innovative work in stone. Working with some of the UK’s leading architectural practices, we are respected for our attention to detail, reliable communications and commitment to time scales. Why should I hire a staircase designer or builder? They may look like a simple set of steps, but staircases can actually be quite complex to construct and so staircase refurbishment should be left to the professionals. Even seemingly simple fixes, such as replacing stair spindles, can be tricky if you’re not familiar with banister structures – banister installers or staircase manufacturers will be able to carefully replicate and replace any old stair spindles efficiently for you. But what if you don’t even want stair spindles for your banister? Maybe you don’t even want a banister at all but instead want a floating staircase or just a handrail on the side of the wall? With staircase designers and manufacturers, the sky’s the limit and there are all sorts of staircase designs to choose from. If you want the ultimate modern look, glass staircases with matching glass balustrades or balconies will be clean and sleek, while cast iron spiral staircases will evoke a vintage edge to your room, and straight, wooden staircases with traditional newel posts are classic pieces in every house. The type of staircase you choose may depend on space and practicality, but if you have the scope to take your pick, there are a number of different staircase shapes – straight and spiral, naturally, but then also quarter and half landing, and winder and double winder staircases. Speaking to staircase manufacturers and the staircase designers themselves will help you decide on the style and materials you want to use, and they may be able to come up with a unique stair design that will become a design element all of its own. Stair renovation can be a big project and it is always important to make sure your stairs are safely installed and safe to use, so talk to any prospective staircase manufacturers about when you should have your stairs put in and how they will be installing them. You might want to have your contractor, builder or architect collaborate with your staircase designer or installer to make sure everything goes smoothly. Here are some related professionals and vendors to complement the work of staircases & railings: Architects & Building Designers, Interior Designers, Carpenters & Joiners, Design & Build. Find staircase manufacturers on Houzz. Narrow your search in the Professionals section of the website to staircase designers and manufacturers. You can also look through photos to find examples of staircases that you like, then contact the contractor who worked on them.